First of all, what is Android Go? Well, it is a special version of the Android operating system designed to run on smartphones with limited hardware capabilities (and much cheaper). The first edition of this lightweight mobile OS was released last summer – it was called Android Oreo (8.1) Go Edition – and today, it also has an Android 9 variant. 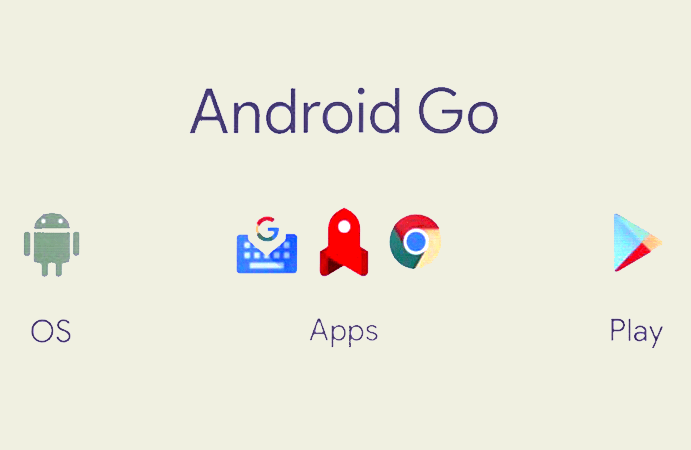 It is a fully fledged Android OS that gives its users the same possibilities as the “full” version, like browsing the web, downloading apps, playing Betway casino games, and making payments on the go, but its overall footprint is smaller (it occupies half the space occupied by Android Nougat) and it comes with apps and services built especially for it (like Google Assistant, Gboard, and Google Play, among others). This operating system will run well and offer superior usability on phones having limited hardware – “weaker” processors, 1GB of RAM, and 8GB of internal storage, for example. And there are quite a few great phones out there, built by established manufacturers, embracing this new paradigm – like the ones below. Nokia 2.1 comes with Android Go out of the box – and this makes it one of the best entry-level smartphones sporting this lightweight OS on the market today. It has pretty decent hardware for its price: it comes with a quad-core Snapdragon 425 CPU, 1GB of RAM, 8GB of internal storage, an 8MP camera, a massive battery (4000 mAh), and a decent 5.5″ HD screen. It also comes with goodies like LTE connectivity, NFC, and Bluetooth. And yes, it has an audio jack. All this with a price of up to Ksh. 12,000. Asus offers a smartphone with great specs for a price tag similar to the one above. It has the same Snapdragon 425 CPU and 1GB of RAM but it comes with twice the internal storage (16GB instead of 8GB) and a better camera – a 13MP sensor with HDR, capable of recording 1080p video at 30fps. It is, in turn, somewhat limited when it comes to software – as of now, it only has a variant with Android Go 8.0 with no word on updates to 9.0 and it has only a 3000mAh battery. The Samsung Galaxy J4 Core, released last November, has a higher price tag than the two phones above – approximately Ksh. 17,000 – but it also comes with better features than the two above. The same CPU and RAM as above is paired with 16GB of internal storage, a 3300mAh battery, OTG support (it allows connecting external USB devices, like keyboards, mice, thumb drives, and such) and a massive 6″ IPS LCD screen. Also, let’s not forget that it is a “Galaxy” phone.